WHALE WATCHING TIME IS FAST APPROACHING! Whales have long known what we humans are just coming to realise – the Great Ocean Road is a wonderful spot for a winter break. 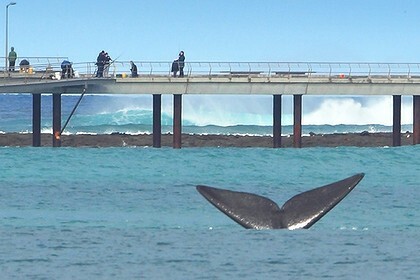 Sightings are most common during June, July and August, though whales have been spotted as early as February and as late as November. Great Ocean Road Marathon Race Day Wrap Up! Celebrating its 10th anniversary in 2014, Australia’s most spectacular marathon attracted over 6,200 to Victoria’s iconic Great Ocean Road coastline over the weekend. National marathon champion Alex Matthews was first across the line in 2:32.33 after completing the 45km Great Ocean Road Real Estate Marathon from Lorne to Apollo Bay in a PB 2:25. The Great Ocean Road Marathon will be held on May 17 – 18, 2014. The Great Ocean Road Marathon is held in a beautiful and unique area of Victoria, Australia on the Southern Ocean. Saturday night at the RSL was a great night of Music, food and laughter, not to mention the funds raised, $2000.00, Thanks to your surport.